If You Worked On The Set Of “Dallas TNT” And Needing To Change Your Address For W2 Purpose Contact Me And I’ll Send You The Phone number, link or address in California to get that taking care of.. 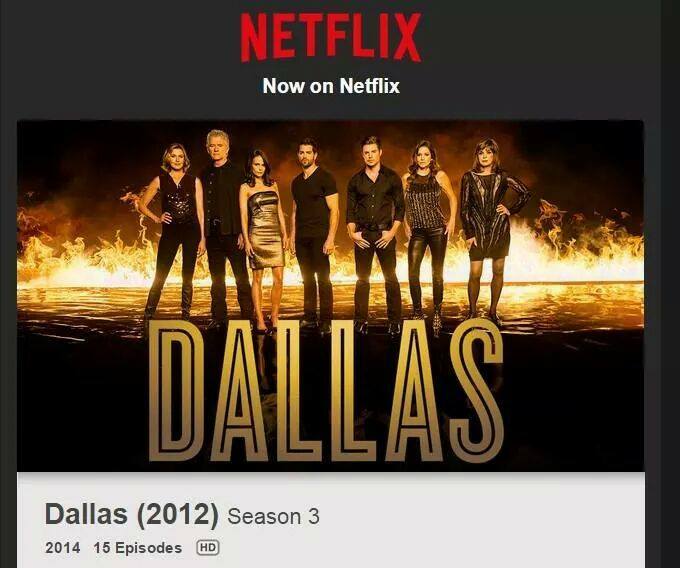 Season 3 of “Dallas” is now available to watch on Netflix. 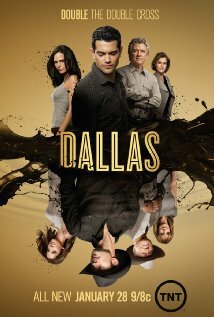 Season 3 of Dallas is now available to watch on Netflix. Like many an oil well, the #SaveDallas campaign has sadly run dry. In a message to fans posted to DallasDecoder.com, Cynthia Cidre and Michael M. Robin — executive producers on TNT’s recently cancelled revival of the classic CBS sudser — reported that “Herculean” attempts to find the show a new home on another network or outlet came up empty, and thus have ended. “[Production studio] Warner Horizon has attempted, in a Herculean way, to try and find us a new home, but at the end of the day it did not work out,” the duo’s statement reads. In the wake of waning ratings, TNT pulled the plug on Dallas in early October, two weeks after it aired its Season 3 finale. After reading an interview that Cynthia Cidre did with EW “She is the showrunner and executive producer of Dallas” she was saying in the interview that they already had an exciting script ready for season 4 and that she couldn’t wait for the fans to see it…looks like she also thought TNT would renew Dallas but they didn’t. 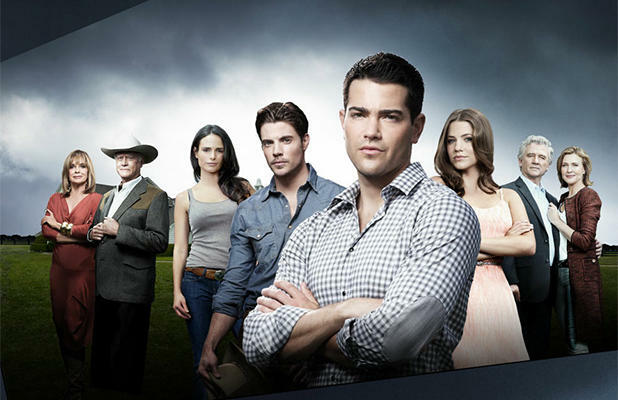 TNT has decided not to renew Dallas. We are extremely proud of the series, which defied expectations by standing as a worthy continuation of the Ewing saga. We want to thank everyone involved with the show, from the extraordinary cast to the impeccable production team, led by the show’s creative forces, Cynthia Cidre and Mike Robin. We especially want to thank the people of Dallas for their warm and generous hospitality during the production of the series. This was the best show ever!! Dallas will be missed!! First of all I just wanted to say I was one of the original Dallas biggest fans , I remember when Bobby and Pam Ewing adopted Christopher as a baby!! I got my first role as an extra just by walking onto a movie set back in the early 90″s I just blended in with the production crew “They never said a word and let me hang with them the whole day while filming” at the end of filming everyone went back to the main camp site of production..the casting director asked me if I had a resume and headshot “I had it with me the whole time while filming” so I said yes and gave it to her. Well by the time that I made it home she had called me to see if I could be in three different scenes on three different days..I said sure. That was my first taste of what it felt like being on a major movie set with actors and to be in scenes with them and to eat breakfast, lunch, with them was amazing. After that I became an extra in a tv movie and two short films my resume begin to look really good so I stopped acting for a while and went back to college and studied mass communications and went to night school also to be certified in Travel & Tourism I became a certified travel agent but I started to work for a major airliner for 8 years. After 8 years with the airliner I decided to quit my job and do home base travel then I was hired by AFI Film Festivals to book Celebrity travel to the film festival ” So I had direct contact to all the celebrities phone numbers to call them and set up travel & and hotel. So much fun!! Once the celebrities made it to the festival my second job was to interview some of them, and be their right hand person for what ever they needed it was fun but sometimes you had to deal with lots of divas..
That year I also booked flights for Lauren Bacall, Sydney Pollack and many many others. That next year I worked with Helen Hunt, Josh Brolin, Robert De Niro, Charlize Theron,Jack Lemmon, Mickey Rooney, Todd Wagner, and many many more. After interviewing these actors and doing Q&A for them after their movie was showed I decided I wanted to go back into acting myself.. But I wanted to do action movies so I trained in Tae Kwon Do and became a black belt I also studied Northern Shaolin style of kung fu… Bruce Lee, Donnie Yen and Jet Li were my inspiration to train hard.. So first I started being a casting associate for Kitchen Nightmares, after that I started back being an extra in a tv movie…then I heard about Dallas Reboot so I started contacting some of my connections and I was able to be on Season 2 & Season 3 of Dallas. I’ve filmed over 5 episodes of Dallas and had a blast there was only one episode that I had to audition for the part and the director picked me to be in a scene with Linda Gray “Sue Ellen Ewing” and Brenda Strong “Ann Ewing” Bobby’s wife.. so once I got to camp I ate breakfast went to the wardrobe department first the hair and makeup then I was headed to the filming location I was in the same van as Brenda Strong and her standin. It was only 3 of use in the van. Linda Gray was already on set.. I sit in the front seat with the driver and Brenda Strong set in the seat behind me along with her standin..
On arriving to the forth floor I had to go to the waiting area with the other extras and crew until it was time for me to start on the set..after the production crew came and got about 7 of us and told us were we were going to be setting in the scene and told us what each of us would be doing it took about 2hrs just to do one scene. After the 3rd take we took a break that’s when Linda Gray got up and walked around to each of the extras that were in the scene with her and thanks us for being there. Then all of a sudden Linda Gray walked over to my table “Brenda Strong walk with her” Linda Gray ask me how was I doing I told her I had been a huge fan of hers since the original Dallas that’s when she hugged me and told me if I need anything come and ask her.. she mad me cry she was such a beautiful and humble person. 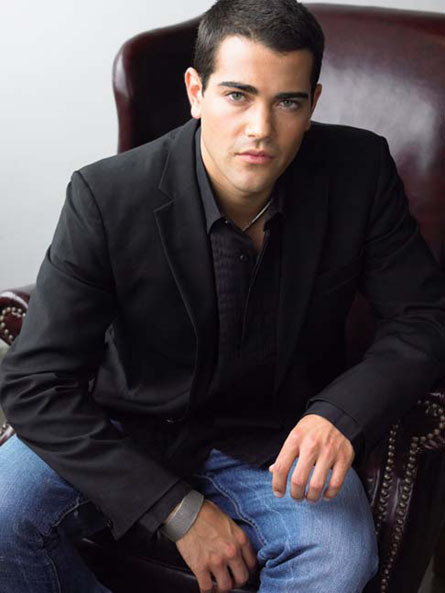 As for Jesse Metcalfe “Christopher Ewing” I’m so sad that he decided to leave the show he will be missed. 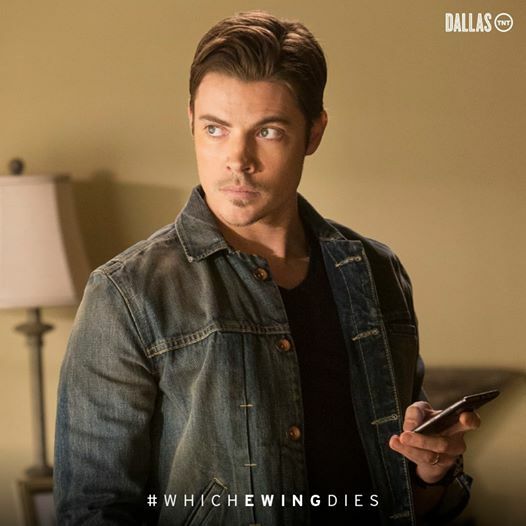 Let’s pray and hope that Dallas is renewed for a 4th season unfortunately I want be able to work on the set this time I’m already working on other projects…. 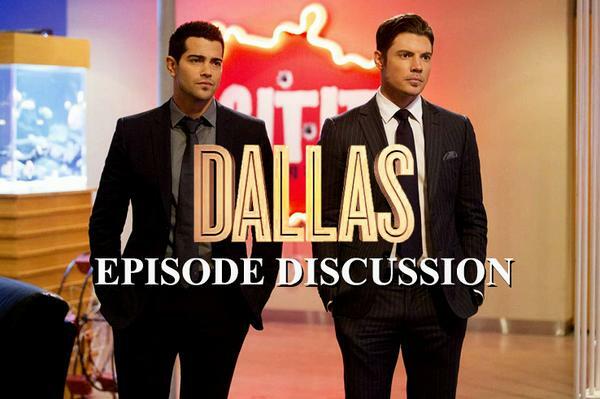 TNT Series Dallas the 2-hour season finale tonight 9/22/14 at 9/8c Don’t miss it!! !